90 minute talk by Georgian Jono, official historic tour guide of Lichfield, with a sparkling wine on arrival, plus a tasting sample of 2 white and 2 red throughout the evening. “Learn the story of David Garrick while enjoying some of the finest wine in Lichfield at this combined history talk and mini-wine tasting event at Worth Brothers Wine! The Garrick’s wine cellars in Lichfield were on Beacon Street in Lichfield and are now home to Worth Brothers Wine. The cellars are over 250 years old and are very atmospheric. Worth Brothers have transformed the cellar space into a comfortable and unique area to taste, and enjoy, their extensive range of wines from around the world. 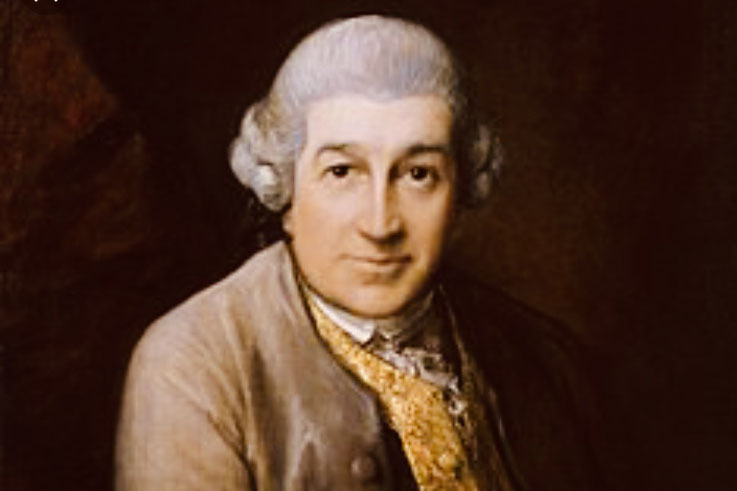 This event will include the story of David Garrick, from childhood through to becoming one of the most famous men in England and a wine tasting experience with the opportunity to have four different, and varied, wines with explanatory notes from Richard Worth. These events are ticketless so once you have paid then just say your name at the door and enjoy the wine. PS The cellars are 250 years old with cobbled floors, so sensible footwear is advised.